If your pets spend time outside, visit dog parks, occasionally go to a kennel, have other pets visit, travel with you or any other number of things, they need a little immune support, too. Dogs and cats have their own world of communicable diseases, and can get bacterial diseases (ear, mouth, digestive infections) just like humans. Make sure you give them a small amount of immune support, just like you do yourself. Your vet can help you get all sorts of different preventions in place, from vaccines, to regular medications, to proper grooming technique, and that cuts down a lot of risk. But there’s always some risk. Not everyone goes for regular vet visits. Some areas have wild animals that carry a lot of illness like Lyme Disease, bird flu, and parasites. Occasional outbreaks happen, like dog flu, viruses in local cat populations, and more. For the most part, taking good care of your pet is its own reward and act of love, but it can also prevent some serious consequences for you, too. If your pet brings parasites inside, they can infest your house or spread diseases to you (like Lyme Disease); and some animal diseases aren’t airborne, but can spread from close proximity (like flu) which is what most pet relationships look like (for instance the CDC asks that people please stop kissing chickens, as it’s spreading bird flu). Helping your pet exercise, eat healthy, and sleep well and without stress is just another day as a pet owner, but you can do more by supporting their health the same way you support your own, with a drop or two of colloidal silver in their water bowl. It doesn’t take much, especially for smaller pets. Some have even shared with us that they’ve used colloidal silver to help recuperate rescue pets with mange, sinus infections, and more (even doing sinus rinses!). 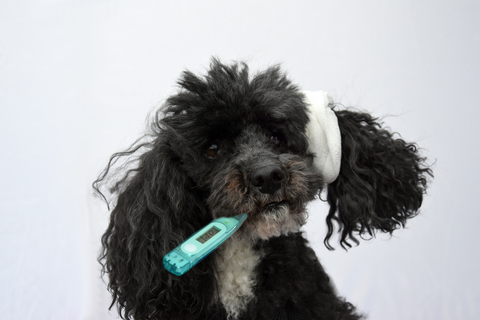 It’s one more tool to help take care of your pet, and a little bit of prevention that could prevent further pain and cost down the line. What do you do to help your pets stay healthy?